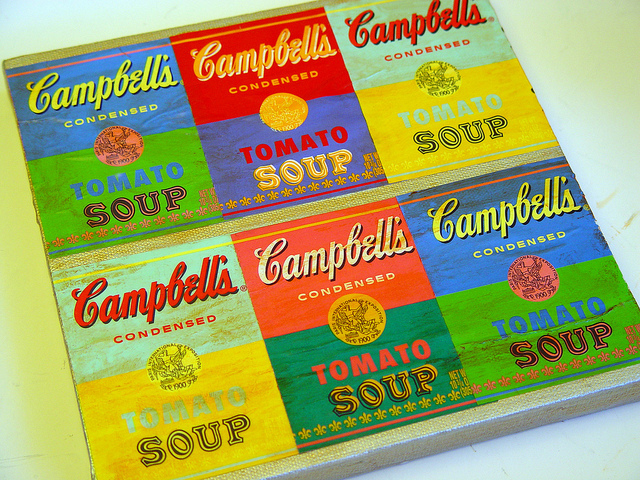 I love the fun limited edition Andy Warhol soup labels you can find on Campbell's Soup right now, but really didn't plan to buy any for craft projects until I saw this fun Andy Warhol soup label canvas that Vanessa from Punkin Patterns created. 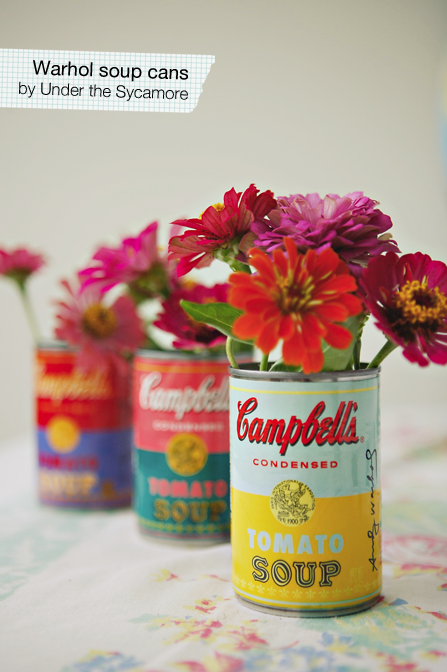 This is such a fun and colorful canvas to hang in your kitchen! 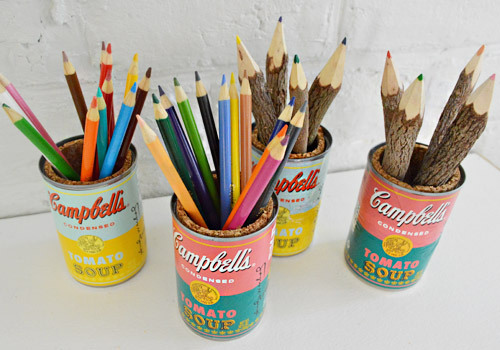 You can check out the tutorial for this Andy Warhol soup label art over at Mod Podge Rocks.